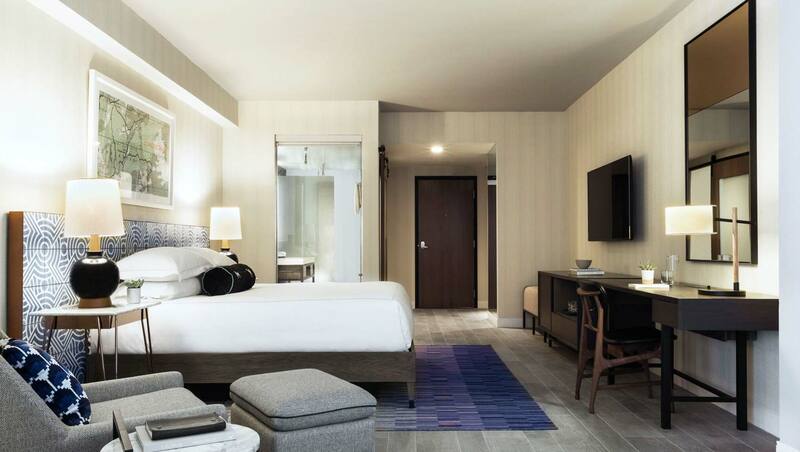 The 153 spacious, light-drenched guestrooms and suites feature magnificent views of the San Jacinto Mountains and glimmering desert. Find a refreshing escape from the hot sands and buzzing nightlife of Palm Springs in the cool elegance of the modern design: creamy neutrals, calming blues and eye-catching textures and patterns. The décor, down to the framed topographical maps of the region, constantly evokes the beauty of the scoured desert outside, creating your very own oasis. The Rowan, a 153-room hotel under construction as part of the city’s downtown redevelopment plan, is set to open this fall. Available jobs include bell attendant, housekeeping supervisor, room attendants, front office supervisor, pastry chef, lead bartender and conference services manager, among others. People attending the job fair are encouraged to bring a resume and will be required to complete a screening form. For more information, visit www.rowanpalmsprings.com and click on “careers” at the bottom on the page.